As kids, we’re taught to do the right thing, even if it isn’t popular. Occasionally, however, the right thing and the popular thing are one and the same. Such is the case for the Honda Accord and CRV, which are America’s most popular mid-size car and SUV, respectively, for the first half of 2014. 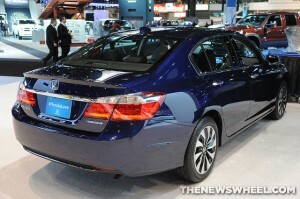 The Accord is America’s most popular car for the first half of 2014! According to data supplied by IHS Automotive, the retail sales of both the Honda Accord and CR-V have surpassed segment competitors’ sales during the first half of 2014. If this trend continues, the Accord is on its way to once again be the best-selling mid-size car on the retail market, and the CR-V will continue its decade-long streak as America’s best-selling SUV. The Honda CR-V has been the best-selling SUV in America for a decade. The Honda Civic and Odyssey also led their segments in most retail sales from January to June of 2014. When it comes down to it, Honda vehicles have repeatedly earned the title as “Most Popular in America” because they continue to prove themselves to be the right car for so many customers. Are you ready to make the right choice? Stop by Avery Greene Honda today to check out our selection of Accords and CR-Vs.
Avery Greene Honda of Vallejo, CA was recently acknowledged by Honda with an award for the Largest New Honda Sales Percentage Increase in 2012! The award, which was given to the dealership earlier this month, reflects tremendous growth for Avery Greene Honda. Our Vallejo Honda dealership showed the biggest increase in new Honda cars in the entire United States in 2012, outperforming over 2,600 Honda dealers across the country. Be sure to stop by Avery Greene Honda this week and congratulate our wonderful sales staff on this exciting award! Avery Greene Honda is proud to announce this Honda distinction, and very proud of its sales staff for its hard work in 2012! To learn more about Avery Greene Honda’s great selection of new Honda cars, including the all-new 2013 Honda Civic and Accord, contact our Sales Department at (800) 707-4733 or check us out online. Our finance department can also help you find the car payment options that work best for you! 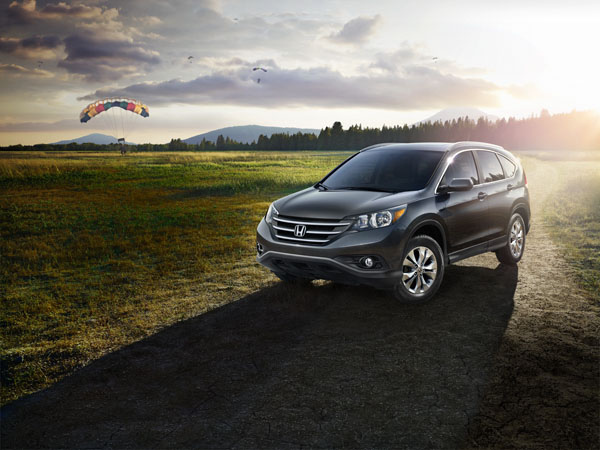 For more Avery Greene Honda news and OEM information, follow our dealership on Google+! The Happy Honda Days sales event is still going on at our dealership! Now through January 2, financing and lease deals are available all over our lot! Right now, 0.9% APR financing for up to 60 months is available on the Honda Accord and the Civic Coupe. These are two of America’s bestselling vehicles, and you can finance with a great low interest rate now! 0.9% financing is also available on the rugged Honda Ridgeline, the super-practical Odyssey, both models of the sporty Civic Si, and the versatile Crosstour. These interest rates allow you to make payments without adding tons of interest to your overall automobile cost. Leasing options are also available, at low per-month prices and a small amount due at signing. You can “sign and drive” on a 2012 Crosstour, with no money due at signing! Special lease offers are available on the Accord, Civic sedan, Civic hybrid, CR-V, Odyssey, and Pilot. Whether you want to buy or lease a new vehicle, you have plenty of options at Avery Greene Honda!